Too often we get caught up in our work and forget to recognize each other, have a little fun, and celebrate. HeyTaco! is the answer. Add to Slack Don't use Slack? More than 4000 teams from small businesses and Fortune 500 companies use HeyTaco! HeyTaco! 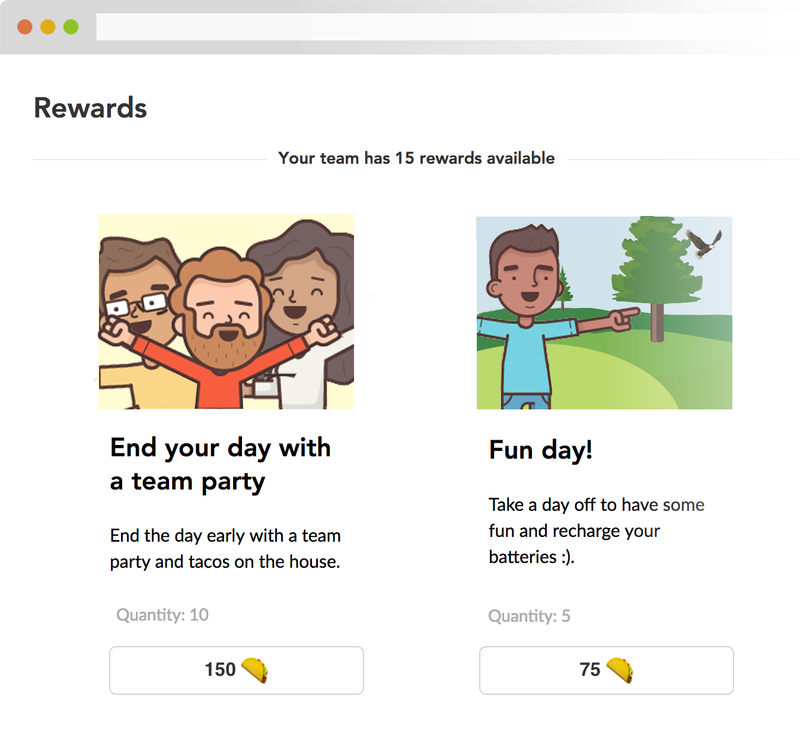 sparks conversations and builds stronger relationships with its fun and unique kindness currency...tacos! 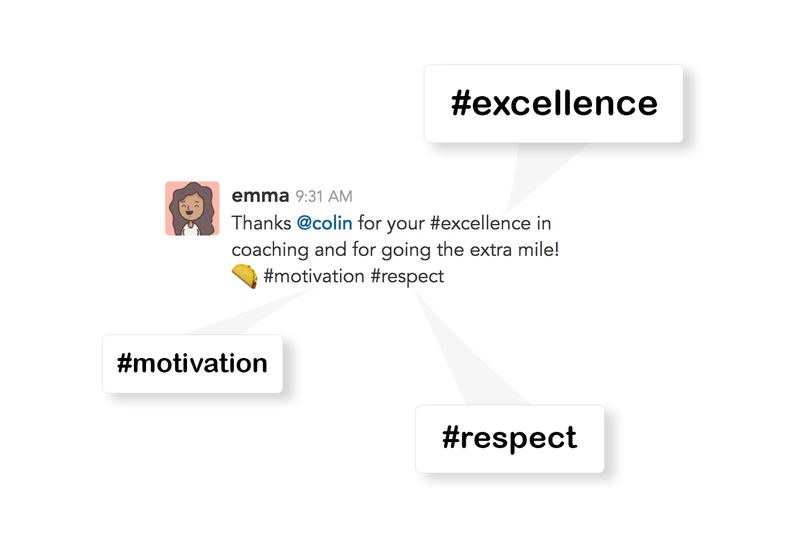 Thanks @colin for having close attention to detail and going the extra mile! @emma for making the awesomest mission design view ever! @von for taking this project and running with it, even if it feels like you’re running in place. Step 2. 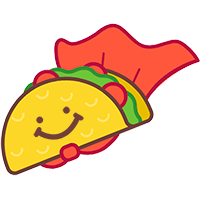 Include taco emojis in your messages to show praise, appreciation, or to just simply put a smile on someone's face. Step 3. Watch your team come closer together. 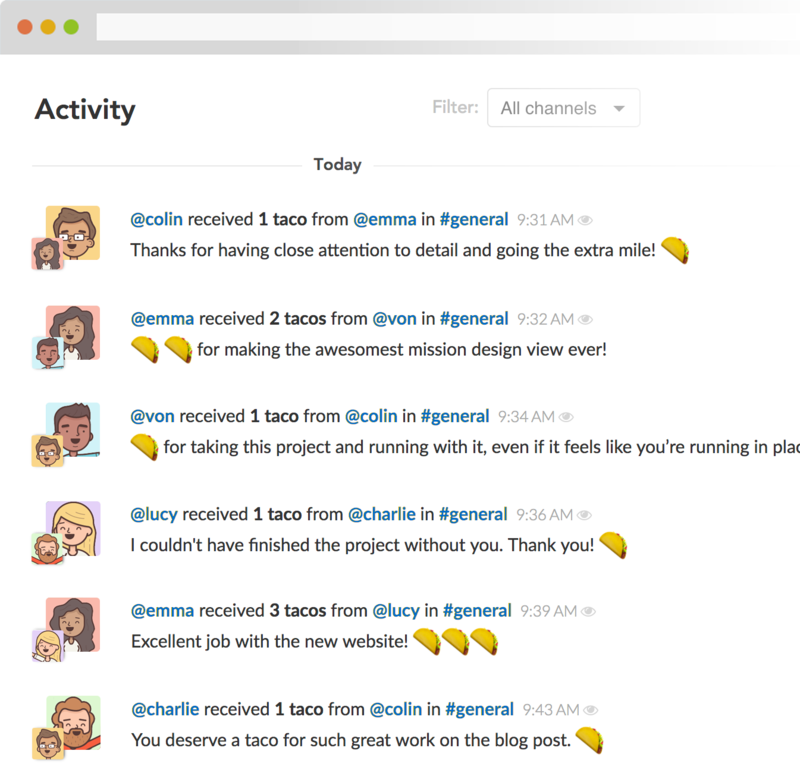 Activity feeds reveal all the great things happening on your team. 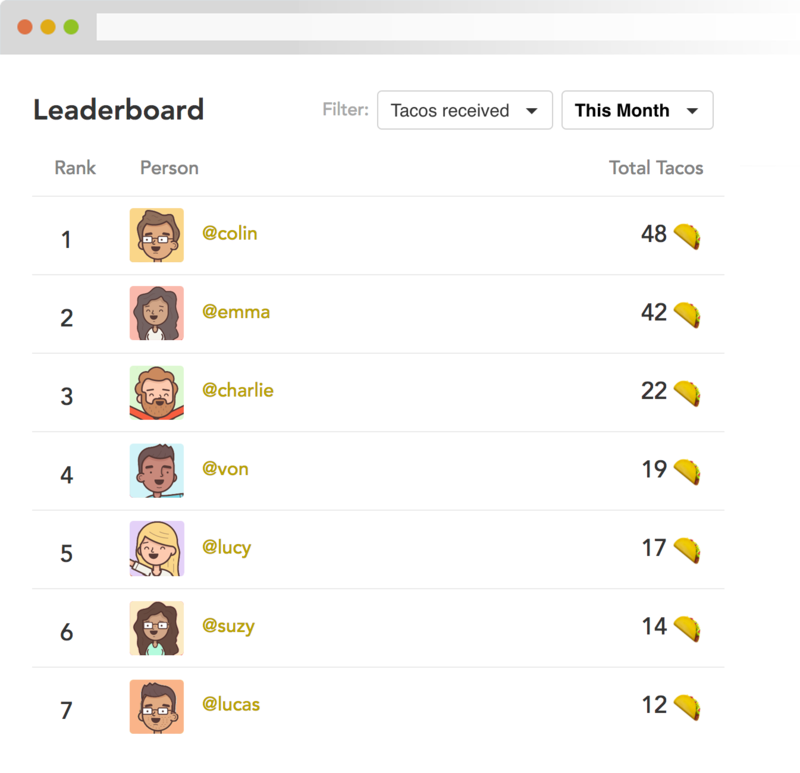 Activate leaderboards for some friendly competition and see who's giving and receiving the most tacos. For truly special occasions give someone one of your unlocked gifts to let them know you really care. You'll unlock virtual gifts as you hit new achievements. Thank you for always stepping up and taking charge of the situation, keeping order in our meetings, and knowing the answers to my silly questions! 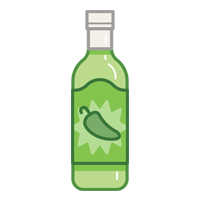 You always bring the party with you everywhere you go, but everyone knows when to take you seriously, just like this bottle of Jalapeno Sauce. I just wanted to give Emma a Super Taco for all her hard work she's put in with all the trainings. It seriously blows me away at how great these trainings are, and I'm grateful for her countless hours she's put in to make the trainings as great as they are today. Unlock hint: the most collaborative givers may smell bacon.